The T2 is the follow up to TC Electronic and Pro Guitar Shop's original Trinity reverb. This time, the dastardly duo of tone brings ten exclusive new reverb algorithms. Let's get through the technical specs first, and then we can dig into the juicy stuff. The T2 offers analog dry-through. This means your guitar tone comes out as warm and rich as it went in. Your get your glorious analog tone with rich, accurate, digital reverb slathered on top. You also get the option of selecting between buffered or true-bypass switching. The buffer in the T2 is pretty transparent, but if you don't like it, you can switch to true-bypass. Just remember, doing so will disable reverb trails. The T2 also offers stereo in and outs. 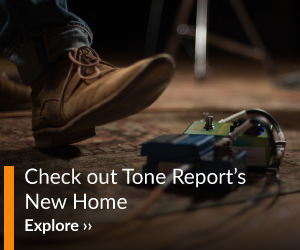 Alright, with the specs out of the way, let's talk tone. The ten new reverb algorithms are all really cool, but I'd buy this pedal based on Reverb II alone. This setting is referred to as a "long sustaining reverb mixed with a watery, organ-like vibrato." If you like to use reverb to create sustaining "pads" under your rhythm guitar parts, this is your new best friend. Shimmer is out, and Reverb II is in. The vibrato effect is just wavy enough to create the illusion of a vintage synth floating below your guitar tone. Be warned, this thing is addictive. I found myself turning it on anytime I was playing clean-ish, arpeggiated, rhythm parts. No, the T2 can't do full on, octave-up, "shimmer." But that's not a deal breaker by any means. If Reverb II doesn't make you forget all about shimmer, the setting Ethereal 1 will. Ethereal 1 employs the EQ capabilities of the T2 to emphasize the upper harmonics and overtones of the reflected signal to create a bright high-end presence. It's almost as if only the harmonics are being reverberated. Using the tone control, you can adjust the sound from subtle to over the top bright. I've covered just three of the algorithms in the T2. The other seven are almost as cool, running the gamut from huge, lush hall sounds to pretty extreme flanged, pitch-shifted, and throbbing verb tones. Finally, you have one TonePrint slot available for any reverb sound you can't cover with the stock T2 sounds. If you haven't yet used the TonePrint functionality, it's pretty amazing; you install the TonePrint app on your smart phone, select the Tone Print patch you want to load, press a few buttons, and the aim your smart phone at your pickups. Voila, the LED on the T2 flashes green, and the patch is loaded. The TonePrints available are vast and varied. I tried a few, but focused mainly on more subtle spring reverbs to balance out the more ambient sounds already available through the T2. My favorite of the bunch ended up being the Troy Van Leeuwen Vibrato Spring. If your tastes in reverb lean more toward the ambient with long decay times and interesting textures, the TC Electronic T2 might just be your new favorite verb. The added TonePrint slot is just icing on the cake. What we like: The T2 is maybe the nicest sub-$350, stand-alone reverb pedal I've encountered. The controls are well thought out and intuitive and the sounds are warm, inviting, inspiring, and range from subtle to extreme. If I have one complaint, it's that I'm now mildly addicted to Reverb VI. I just can't stop using it! Concerns: I can't find anything to complain about with regard to the T2. But if there were one thing I would add, it would be the ability to do a 100 percent wet signal. I doubt I'd use such a function in a live setting, but it would be very cool for overdubbing, especially when using Reverb II as a synth pad. I bought this a few weeks ago. Every time I play guitar I find myself playing around (a lot!) with this thing, so many settings! For around $160 it’s the perfect ambient pedal. Reverb I and II are my current favorites. Setting this last in the pedal chain, with a volume pedal and delays feeding into it, really bring the already crazy settings into interstellar space travel (yes, I said that). 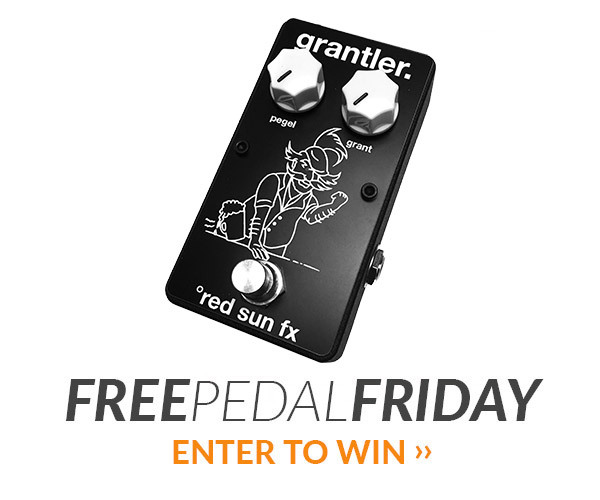 And the sleek design, leaves this mysterious black box with a lot of extra room on the pedal board. Just don’t tell your guitar buddies. They’ll be begging to borrow it.